Tell us about yourself, why do you love old hot rods. We will use this in the program and for the announcer at the event. A little about the hot rod or custom you are bringing. If you don't fit here, tell us in the details section. Please let us know if you are planning on running the Hill Climb by selecting 'Yes'. If you have an invite code enter it here. If you have been given an Invite or Acceptance code, enter it here. Tell us about this Hot Rod or Custom. We will use this in the program and for the announcer at the event. Do you have a permanent Number on the car? Provide 3 preferences (ie. 33, 334, 496). This is important information for planning on our end. Tell us what fits you best, we will review and send you details. Tell us what fits you best, this helps us plan for parking. What else do we need to know? Questions? This is Event Registration, if you indicated you would like to run the Hill Climb Saturday on page 2, we will review your registration and respond. This includes Saturday Hill Climb Registration! Reliability Run, VIP Kick-Off Party Friday Night, & one Weekend Pit Pass, & allows person to drive on the course. Includes General Admission for the weekend. By checking this box you agree with the terms and conditions. 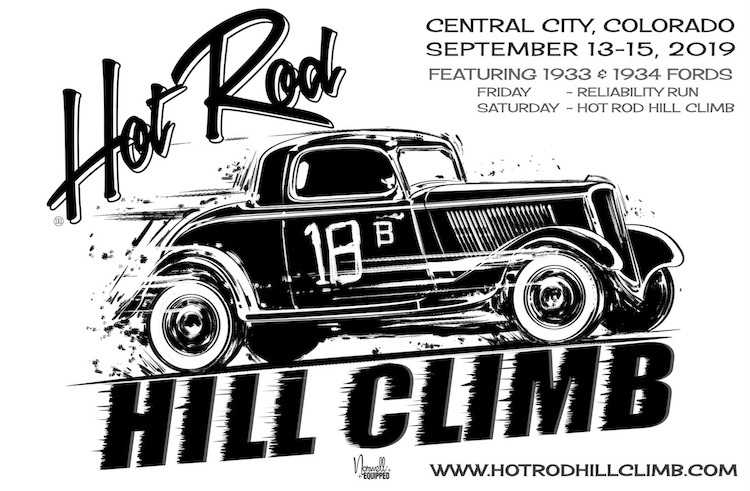 Thank you for registering for the 2019 Hot Rod Hill Climb!